There are two sides of me today. On the one side, you have the Liz that can barely keep herself together knowing that a divorce between Mariah Carey and Nick Cannon is imminent. If these kids can’t make it, there is no heaven. On the other side, you have the Liz that MUST. PULL. HERSELF. TOGETHER. Because the Emmys are tomorrow and she’s got some soothsaying to do! Right now, I’ve willed this second side to make an appearance. You are all SO LUCKY. So let’s discuss Outstanding Writing for a Drama Series. As luck would have it, I’ve seen 4 of the 5 episodes nominated–sorry House of Cards! I do plan on watching you once someone gives me their Netflix password. Also–I may give a few spoilers so BE WARNED. 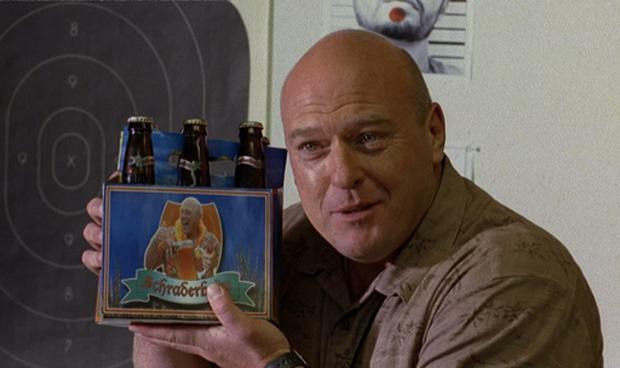 We’ll start with the Breaking Bad eps, “Ozymandias” and “Felina.” “Oz” is perhaps the toughest episode of the whole series because it is when my beloved Hank dies. (See? I warned you there’d be spoilers!) I was so upset that I wanted to get Marie so we could murder Walt together! Ughhhh. I’m still sad. “Felina” was the series finale. I even held a party for it. But it felt a little too pat and I didn’t like that they semi-redeemed Walt at the end. Like any episode of Game of Thrones, I loved “The Children” but couldn’t tell you what it was about more than 30 minutes after watching it. Luckily, we have a thing called “wikipedia” which essentially is a Cliff Notes for adults. “The Children” is the final episode of the fourth season, and it’s where Tyrion escapes and strangles his former lover Shae to death and shoots his dad Tywin with a crossbow because Tywin was sleeping with Shae! Way harsh in so many ways!!! “The Secret Fate” marked the point where True Detective lost me. It was a convoluted mess with too many characters and I couldn’t figure out who did what and when. This entry was posted in Emmys and tagged Breaking Bad, Emmys, Game of Thrones, House of Cards, True Detective. Bookmark the permalink.